PC peripheral manufacturer SteelSeries has introduced a new audiophile-grade, dedicated high-fidelity USB DAC and amplifier to its range in the form of the GameDAC. Specially created for gaming enthusiasts the GameDAC transforms any PlayStation 4 or PC into a high-performance audio source by bypassing the low fidelity, poor quality DACs found in typical console controllers, USB headsets and PC sound cards. The SteelSeries GameDAC is now available worldwide priced at $129.99 or €149.99 depending on your location. 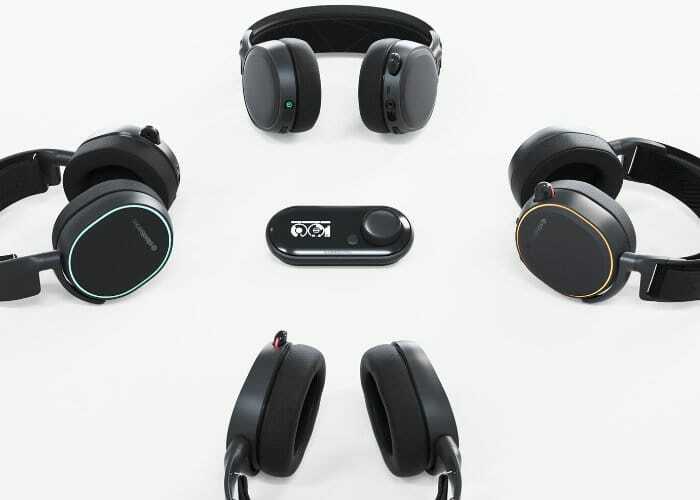 When combined with the flagship Arctis Pro headset, the GameDAC the system creates the “first complete high fidelity audio system” says SteelSeries. The GameDAC is powered by the ESS Sabre DAC and amplifier offering 121dB of dynamic range and -115dB Total Harmonic Distortion and Noise.